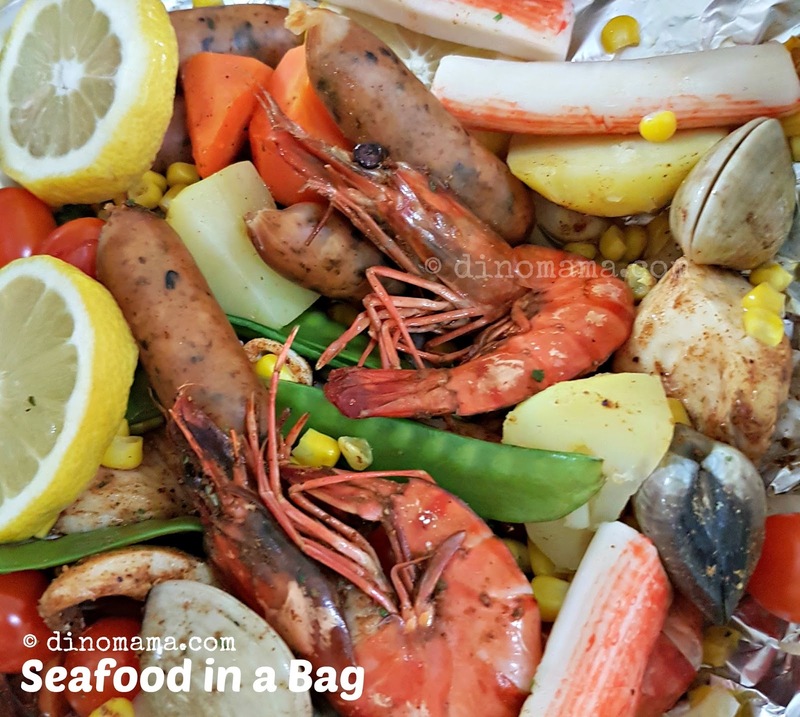 Thanks to a girlfriend who shared this Cajun Seafood in a Bag with us after our makan date at Dancing Crab. Her photos made all of us goes WOW~ because it look so damn delicious and her family clearly are enjoying the food to the max. "That's it!" I said to myself when I saw the photos, "I am going to make this for us!" And I did, of course I waited no time to share it with all of you in instagram that day. 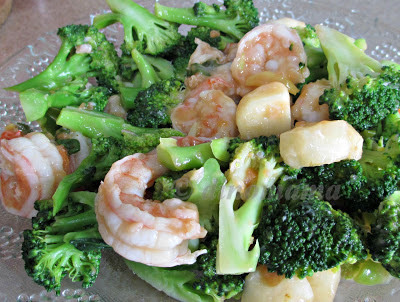 That photo was cropped nicely to show details of the food, such glorious food and I am salivating now! (Some of you requested for the recipe after seeing that photo, hence I am writing this post) Now, look at the zoomed out photo and you can see the actual amount of food I prepared that day for 4 adults and 3 kids. That mountain of food is the result of 5 seafood bags, poured into a huge rectangle tray for all of us to eat them with our hands the communal way. Cool right! No mountain of utensils to wash after that too so its a great one dish meal. IF you love seafood, you will definitely adore this dish coz it is such an easy dish to prepare, especially when you run out of meals idea. 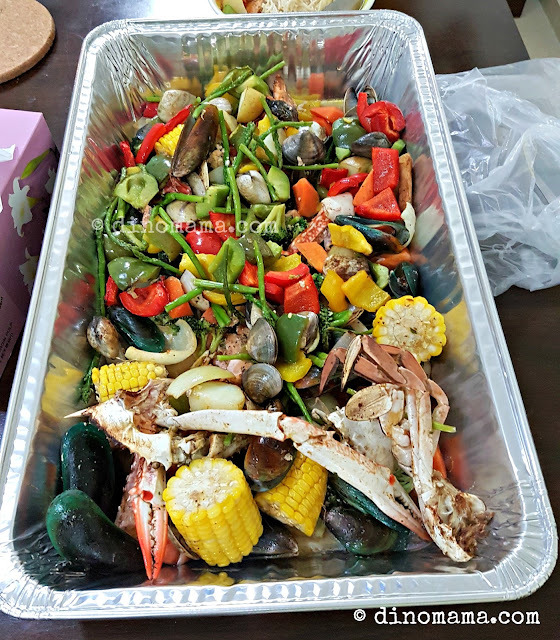 The flavor from the sweetness of the fresh seafood and vegetable with a tinge of spiciness from the cajun seasoning makes you crave for it time to time. 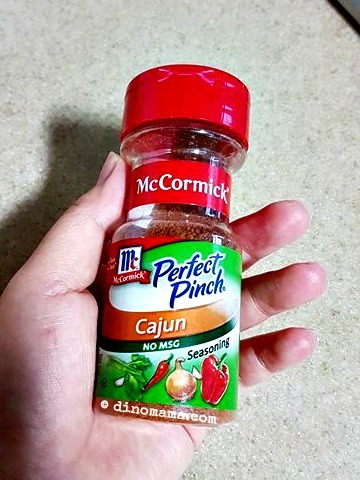 Since the recipe is Cajun Seafood in a Bag, that means the most important ingredient is the Cajun seasoning which can be bought easily from most major supermarkets. The rest of the ingredients are basically up to your preference, just remember to pre boil the potatos and carrots plus add in knob of butter and slices of lemon in your bag. Since the day we had it for the first time, it has been lingering at the back of our mind (and our tongue!) 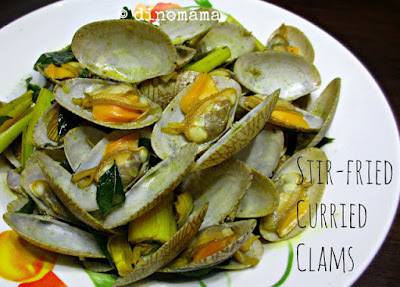 for weeks, it was so unbearable that we decided to have this as dinner, a smaller bag just enough for the 3 of us with lesser and different ingredients but still as flavorful and finger licking good as ever. I am listing down the ingredients I have used, feel free to add in anything that you fancy. 1. Preheat oven to 200 Deg. 2. Prepare the seafood. Clean and cut up the crabs & sotong. Wash the clams and mussels. Rinse the prawns. Cut the fish fillet into bite size. 3. Season the seafood with cajun season & parsley flakes. Depending on the amount of seafood I am preparing I will adjust the seasoning accordingly so basically I will added 1 tablespoon for 1 bag. 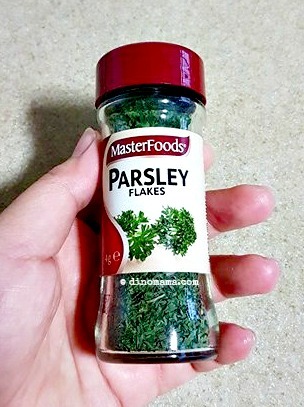 Also depending on your liking of this seasoning and adjust accordingly. 4. Prepare the vegetable. Cut up the potato & carrot, boil them till they are half cooked. Slice up the yellow onion and chop the corn into small size. 5. Slice the lemon; more if you are making several bags. 6. Tear a long piece of aluminium foil, fold it into half, open up and start piling your food slight off centre. Place the lemon slices and knob of butter on top of the pile, sprinkle some sea salt after that. 7. After you have done that, bring the other side of the aluminum foil over and cover the food. Start to fold in the ends on all 3 sides. You have to ensure that it is folded in a few times and tightly pressed down to ensure no air can escape from the bag. 8. 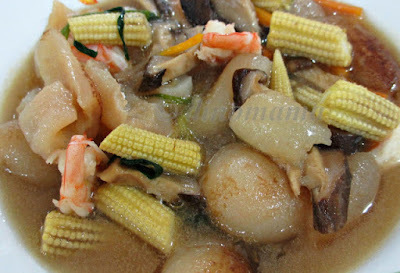 Put it on a baking tray and into the oven to be baked for about 25mins or till seafood are cooked. 9. Remove from oven, cut an X on top of the bag, open up and serve.